The Names of the Believer in the Bible A Weekly Devotional starts Jan 3rd. You may have seen studies on the names of God, Jesus and the Holy Spirit, but this is the first study to look at the names of the believer throughout the Bible. In this study you will discover what God says about you. This study will based on original research and be sent out at the beginning of each week so that you may meditate on and dwell in its truth all week and allow it to become a part of your relationship with your Creator-Father. 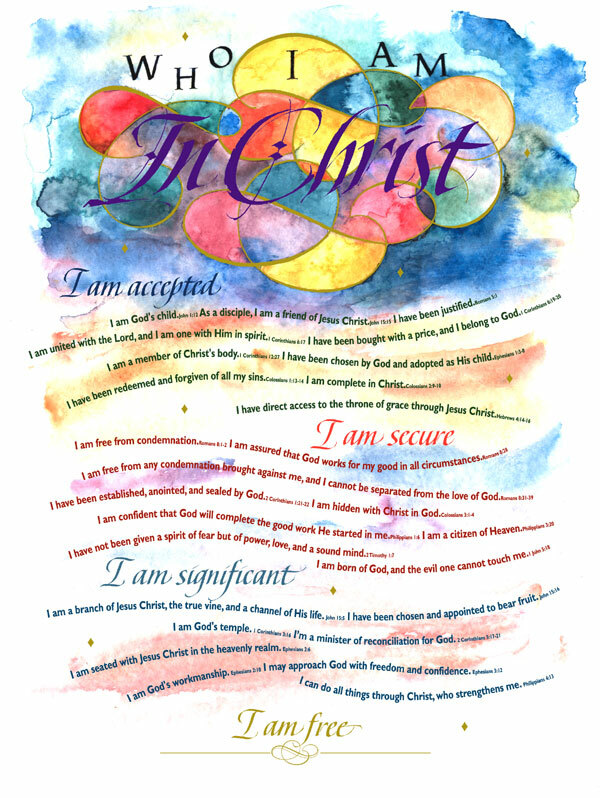 The picture of Who I am in Christ is just a part of the study. This is also sent out by email to those who request it. 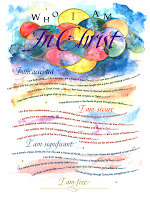 The Names in the 'Who I Am in Christ' Poster by Neil T. Anderson is Just A Part of the Study.